Les Dames d'Escoffier - Celebrate our Chapter's 25th Anniversary! Celebrate our Chapter's 25th Anniversary! 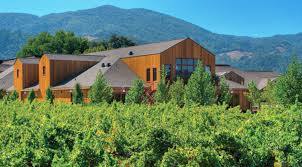 Join us for a delightful lunch in Napa at Grande Dame Dolores Cakebread's winery. We will learn about Dame Dolores' history of Cakebread, tour their winter garden, and enjoy a great lunch, all to raise funds for LDEI-SF scholarships.